The State of New Jersey recently made headlines when the state’s high school sports governing body announced major changes to the way football would be handled moving forward. The New Jersey State Interscholastic Athletic Association passed a bill that reduces in-season full-contact limits from 90 minutes per week to 15 minutes and preseason full-contact hours from unlimited to six. Reaction has been swift across the country on this issue. While some believe that it’s in the best interest of student athletes – others believe its weakening those students. We’ve attached some reaction to the bill’s passage at the bottom of this story. 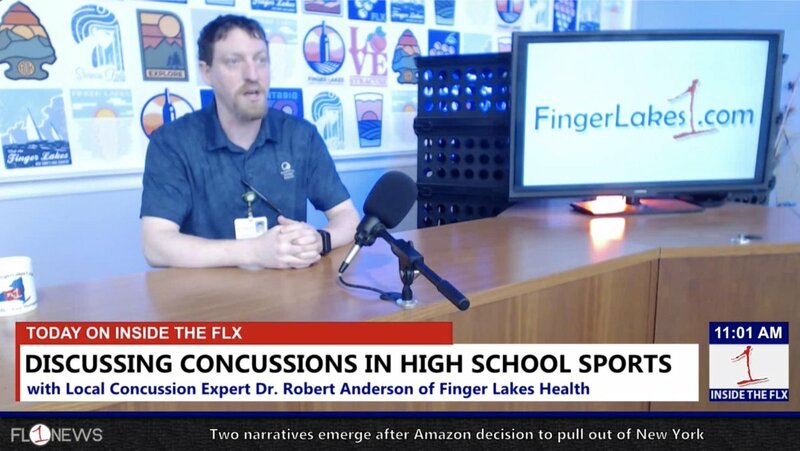 This week FingerLakes1.com sat down with Dr. Robert Anderson, of Finger Lakes Health. He’s an expert on concussions, and had a lot to say about the changes in sports like football, but also about the changes coming in the medical community – as concussions become better understood.